This is a formula I use for healthy beautiful skin. The cleanser you will be making starts out as a mask and ends up becoming an exfoliating cleanser. It can clear up acne and other skin problems. It was 100% effective on me and also works for the person who showed me the formula. I believe it can help you too. IMPORTANT: If you are allergic to aspirin do not use this. If you are allergic to honey, you can still use it - just subtract the honey. Note: You don't have to use the same brand names that I do. Use whatever you feel comfortable with. 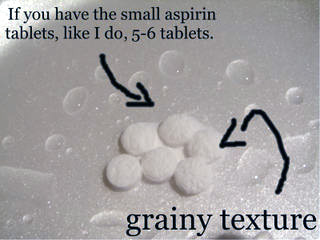 1) Take about 2-3 tablets of aspirin. If you have the small kind like I do, use 5-6. 2) Sprinkle water on the tablets ... and I do mean sprinkle! If you use too much water, then they will become too mushy and pretty much useless. 3) If you added the right amount of water, they should start to disintegrate on their own. If they do not dissolve, use your fingers to break them apart and mix them with the water. The texture should be very grainy. 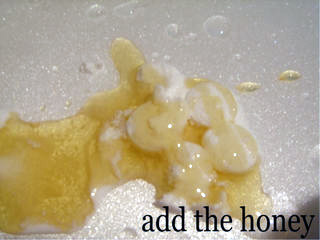 4) Add two squirts of honey onto the aspirin. Then mix until the aspirin is coated with the honey. 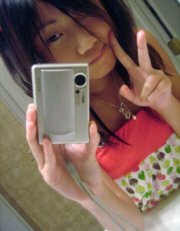 5) Before you apply it on your face, girls, if you have bangs, be sure to pin them away from your face. You do not want the honey in your hair! Apply the mixture on your face. Make sure to avoid the eye area and make sure not to get it up your nose. Sounds hard, but it's obvious not to put stuff up in your nostrils. You do not want to breathe this in. 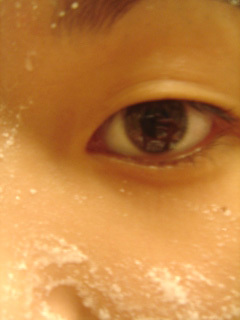 Spread the mixture on your face and leave it on like a mask for 10 minutes. 6) After 10 minutes wash this cleanser off your face. As you are washing it off, take advantage of the grainy texture of the aspirin and exfoliate your skin. This will get the dead skin cells off your face and polish your skin, leaving it glowing. When you first do this your skin will feel soft to the touch. 7) Now after the wash, take the toner and dab some on a cotton ball. 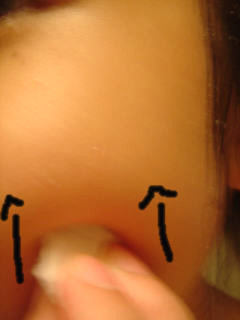 Wipe your entire face with the cotton ball in a upward motion. 8) Now take the moisturizer and apply it on your face. 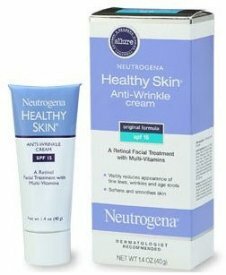 It also has retinol which will reduce the appearance of fine lines and wrinkles. (We are never too young for this, gals!) It also has SPF 15, which will protect your skin from the sun.